Last weekend, I found myself waxing lyrical about the ND Mazda MX-5 and its updated 2.0-litre engine. 7500rpm from a reworked N/A engine is a rare treat in the current car market, making ringing the Mazda’s neck a wonderful experience. 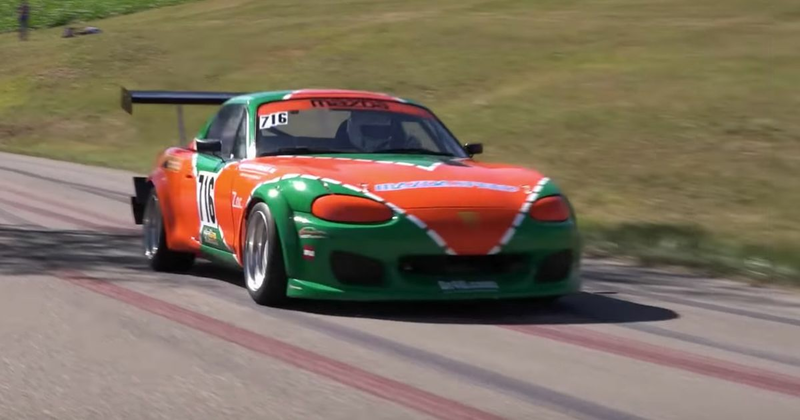 So, while we have revvy Miatas on the brain, how about this hill climb special? The NB is packing a 2.0-litre engine that kicks out around 220bhp and revs to 9000rpm, and it sounds gloriously gnarly as it’s cranked around to that figure. As a bonus, the car is decked out in the classic ‘Renown’ livery once worn by Mazda’s 787B prototype racer. What a cool little car this MX-5 is!